Until now, the image of Hampi I have in my mind’s eye is from a picture sent by a friend many years ago. She is sitting on a hillock made of boulders and is completely dwarfed by the landscape. Far below, to the side, a sliver of water winds away, and in the distance are blurred outlines of what could be rocks or ruins. I was seeking, on this trip, to replace this image with one of my own. But just this morning, as we arrive at the resort, I realise there is more to this land. For instance, I am completely distracted from thoughts of history by the abundant bird life at the Jungle Lodges property. You are never alone here in the resort, and I mean that in a good way. As you sip your morning coffee, silverbills socialise with you at a safe distance, while sparrows fly past looking relaxed and cheerful. Garden Lizards turn to stone as you walk past the bushes, and Long-tailed Shrikes cease covert operations and prepare to take flight. Jungle-bush Quails watch from the sidelines, then dart across the path right after you cross. Even a mundane task like brushing your teeth is improved by the song of bulbuls right outside your bathroom window. By the time we drive to the ruins of Hampi, my cup is already brimming with new experiences. We go to the Queen’s Bath first. It promises nothing at first, but once you go inside, the arches and balconies around the deep, deep pool, are beautiful and intriguing. 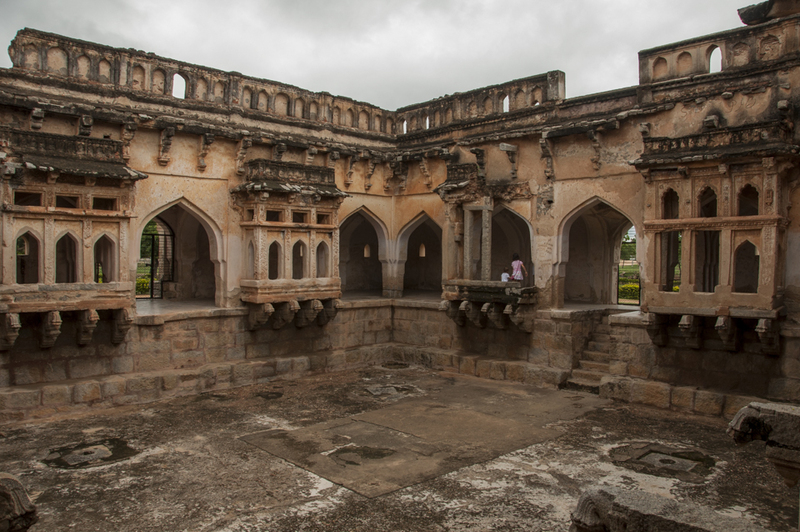 They say the pool was fed by the exquisite system of canals and aqueducts that the Vijaynagara empire was famous for. 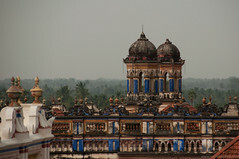 From there, we walk to a grand and towering box-like structure called the Mahanavami Dibba. 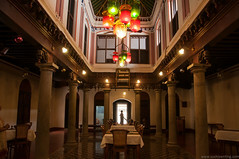 This was a royal seat from where the kings could watch the Dussehra or Mahanavami celebrations. As I climb the exquisitely carved and stacked layers and take in the panorama of ruins and boulders, I am catching my breath for more reasons than one. Over the course of three days, my friend and I pick and choose from a menu of diverse experiences. One early morning, we drive alongside the high-line canal to look for the Indian eagle-owls that nest here. Even as we keep moving, JLR’s sharp-eyed naturalists spot owl-droppings on the cliffs across the water, and then show us the owls. At first, I see nothing but rocks. 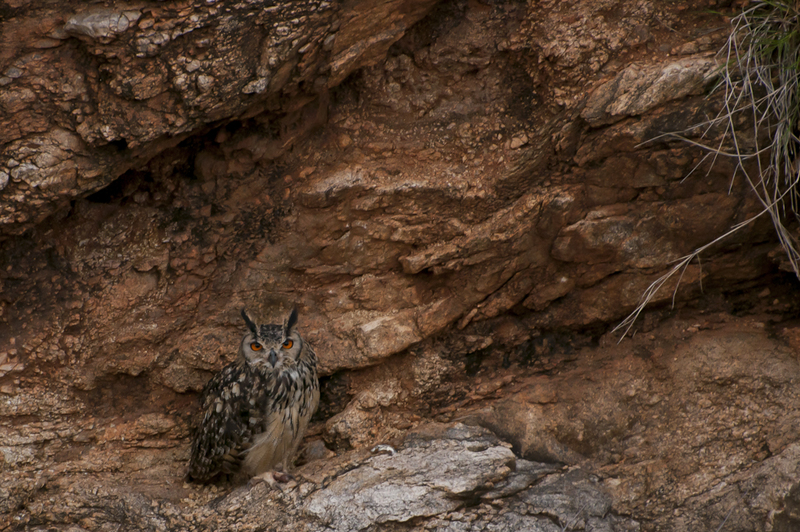 And then, like one of those 3D images that you have to learn to see, the patterns on the cliff suddenly snap together and the owl is there before me, orange eyes, furrowed brow and all. 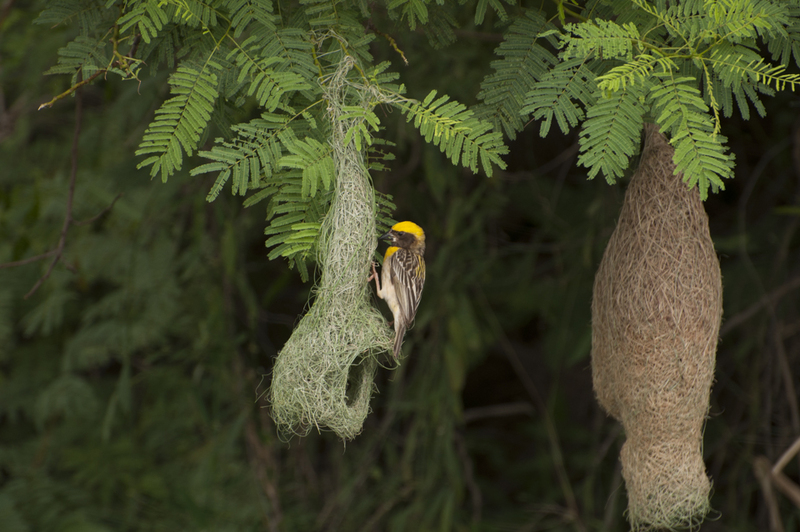 Later, we stop for better glimpses of Hoopoes, and spend time watching Baya Weavers. Other mornings are spent discovering the enchanting and endless ruins. 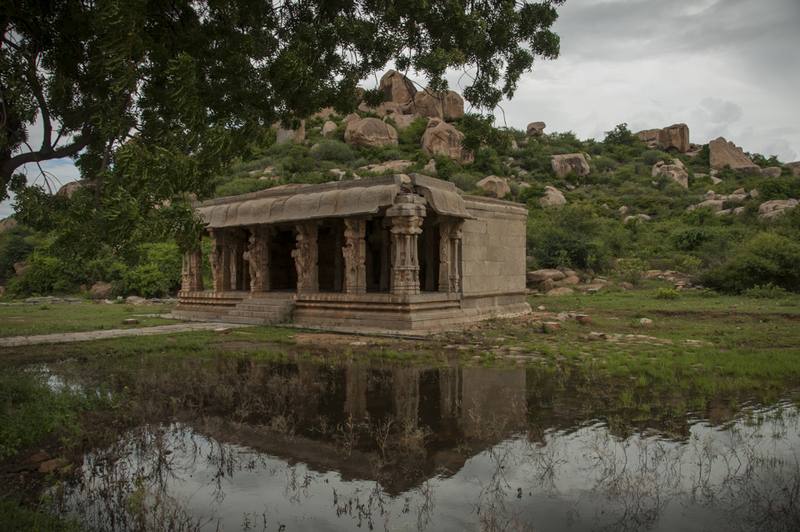 The ruins in Hampi are spread over many kilometres and, after the JLR jeep drops us off, we plan our stops meticulously. Sometimes, we take auto-rickshaws between monuments to save our energy. At other times, we proudly spurn the government golf-carts so we can take ambling walks by old temple pools. We buy jewellery from local lambani (gypsy) ladies, and stop for meals at one of the many hippie shacks, feeling grateful for shade and refrigeration and cushions to lounge upon. 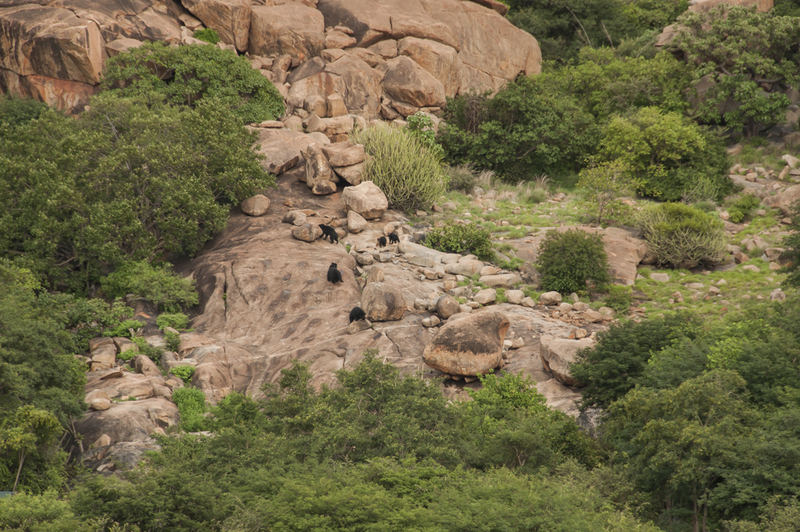 Our afternoons are spent back at the Daroji Bear Sanctuary, looking through binoculars at families of sloth bears that are out for the snacks of jaggery laid out for them on the rocks. 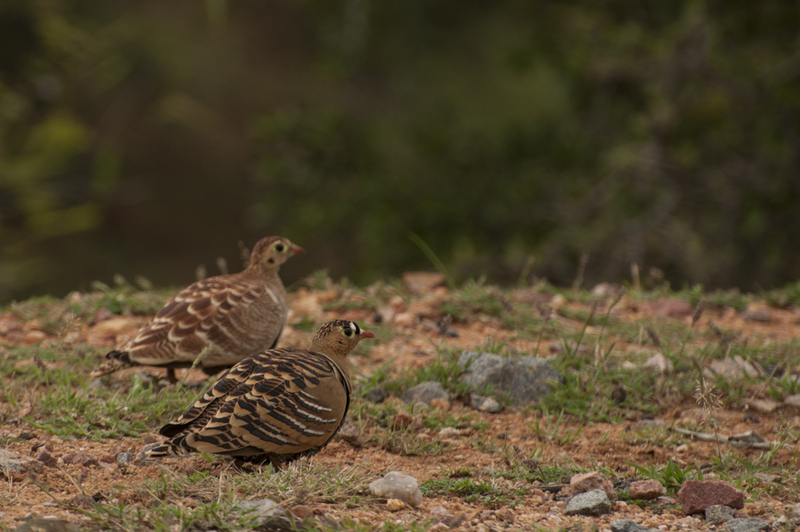 We catch a glimpse of the glorious Painted Spurfowl as we walk back to our vehicles. Our evenings are spent at the bird-hide in the resort. We feel utterly spoilt as we sip chai and wait for birds to walk into the frames we’ve composed. 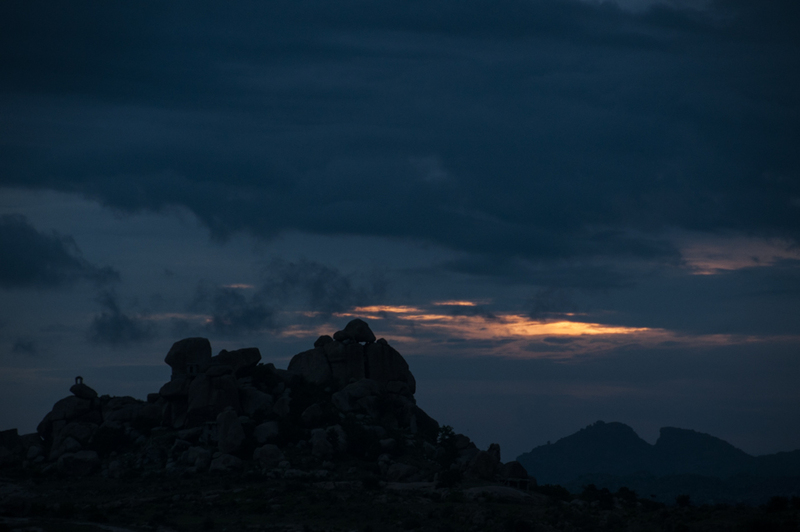 On our last day in Hampi, we change plans and catch a sunset at Malyavanta hill, lying down on the boulders to watch the skies change colour. We are here just after the monsoons, and the cloudscape is as intense and brooding as the boulder-strewn hills. The darkness comes alive with the chanting of priests from the temple nearby. Every monument we see at Hampi outdoes the other, whether it is the stunning symmetry of the stepped tank, the elegance of the Lotus Mahal, or the sheer finesse of the carvings at the Vithala temple. 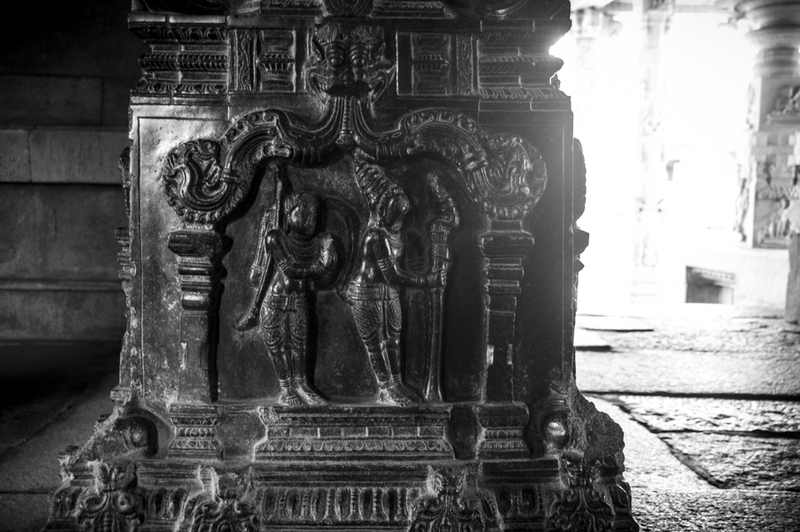 The architects of the Vijaynagara empire used local materials to build their monuments, as though in deference to the rocky terrain that served as natural fortress. The mighty river both sustained and protected them. Now, so many years later, when there is no real civilisation left here, the mandapas seem to grow right out of the boulders. Stacked stones rise to become pillars and suddenly burst into carving. Nothing seems out of place. Stones that rise up and break into carving. At Malyavanta hill. 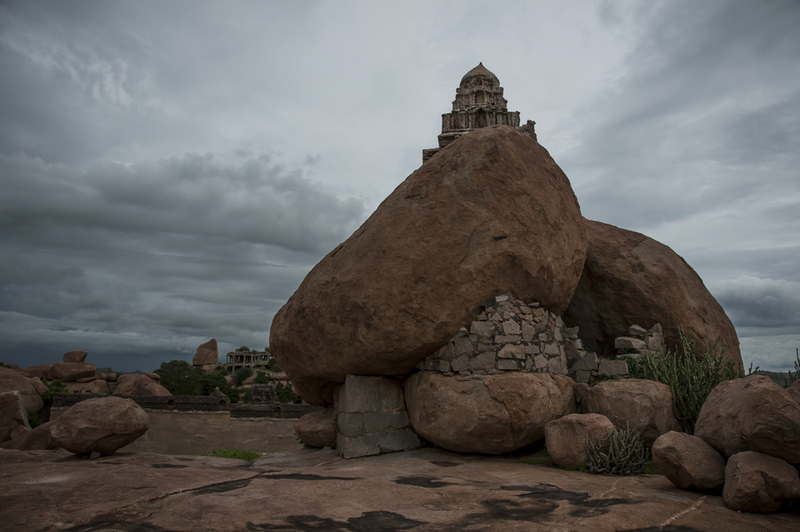 But if there is history and mythology at every turn in Hampi, then there is nature too, gaining quickly on them. Legendary kings like Krishnadeva Raya changed the course of Indian history. They must have expected their legacy to last forever. But even the greatest empires come with a date of expiry. Some crumble slowly and imperceptibly, some in a sudden blaze of misfortune. The Vijaynagara empire was plundered and went into decline after a decisive war. What was once a sprawling city of dreams is now countryside interrupted by ruins. If the city was once fuelled by power and passion, it is now felled by the forces of nature. Slowly but surely, they stake claim to what was once their own. Trees take root in the royal courts, weeds in the palace gardens. Langurs leap across boulders where once stood soldiers and sentries. 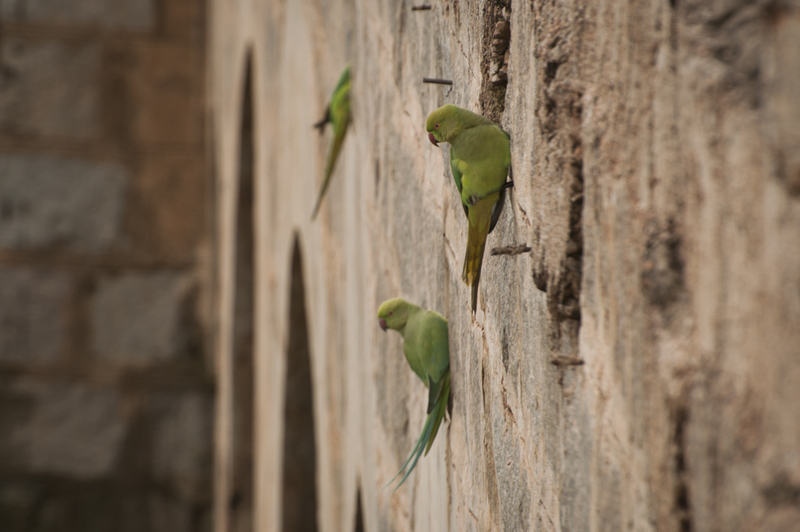 Spotted Owlets and Rose-ringed Parakeets peek out from alcoves where princesses once gazed at the horizon. Scornful of history or protocol, nature slowly tugs down the lofty ambition of man, and shows him his place in the world. As our holiday draws to a close, I reflect on the many things I’ve seen. 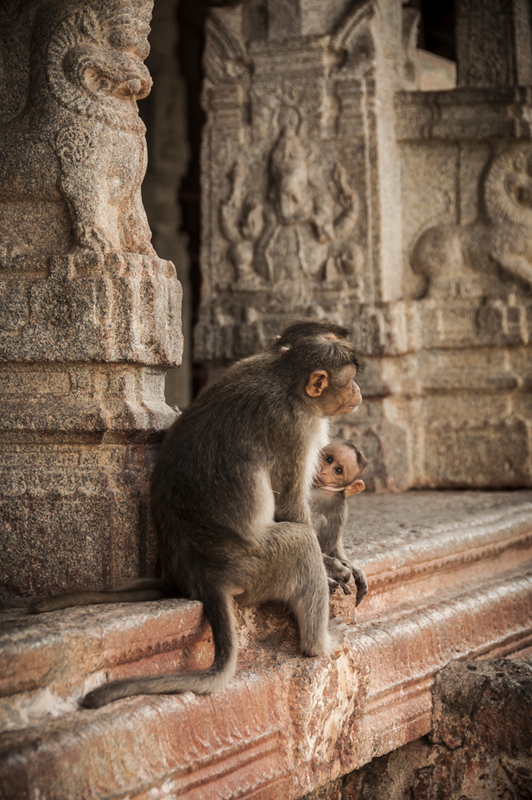 Hampi, I realise, is so much more than its ruins. And the Sloth Bear Resort is much more than a wildlife resort. As a city-dweller, I tend to see nature and civilisation, past and present, as distinct. But here, everything merges together and also cleaves away. I ask myself again, “What is this place? 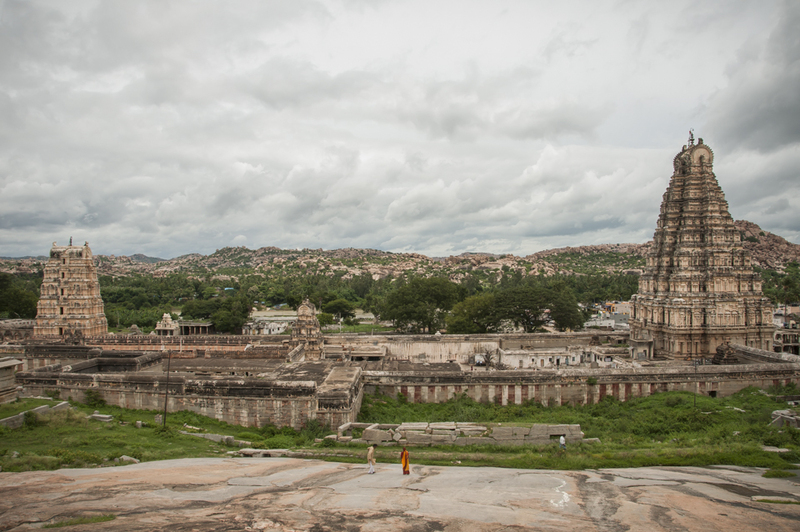 What is Hampi?” There are no easy answers. I imagine a lens that has two sides. Turn it one way, and you see the intricate detail of human achievement. Flip it over, and you see the larger context of nature and the land. The trick is to see both at the same time. Note: This article was originally published on the JLR Explore blog, with pictures from my talented photographer friend Radha Rangarajan. I stayed at the Sloth Bear resort on invitation from Jungle Lodges.